I’m so excited to see this offer for Scratch Off Travel Maps back again, as I missed it last time. I am getting this for my family for Christmas, but I’m also going to use it as a way to announce new travel plans to them. I’m thinking that I will scratch off a destination before I tell them about it…and see who notices first! 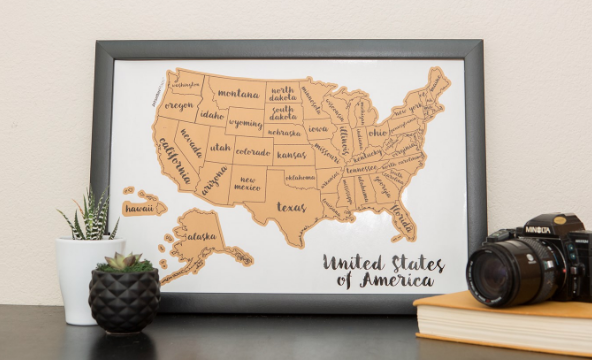 We LOVE to travel as a family and we have all agreed that we will take experiences over material items any day, so giving this to them as a gift to display in our home will be extra special. I’m really excited about it. Even better! 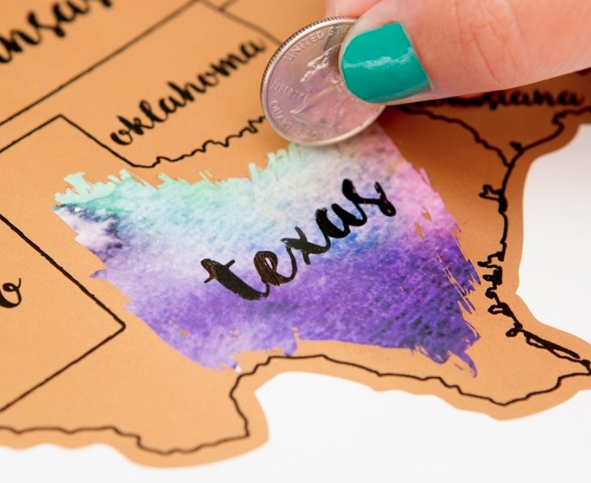 These Scratch Off Travel Maps are on sale right now (but won’t last long, so hurry if you want one!) 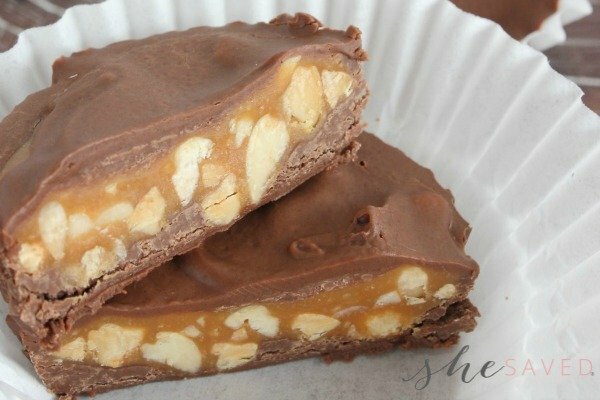 for just $17.99 (shipping is $3.65) and I love that they come packaged in a tube which makes them awesome for gift giving. Fits any 12 x 18 in frame perfectly. Packed in sleek tube for easy gifting. Proudly designed in the USA! 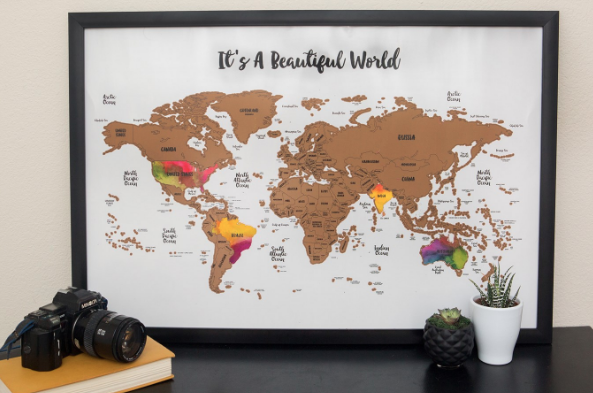 For those of you that are world travelers, there is also a Scratch Off WORLD Travel Map on sale, and you can see that here. 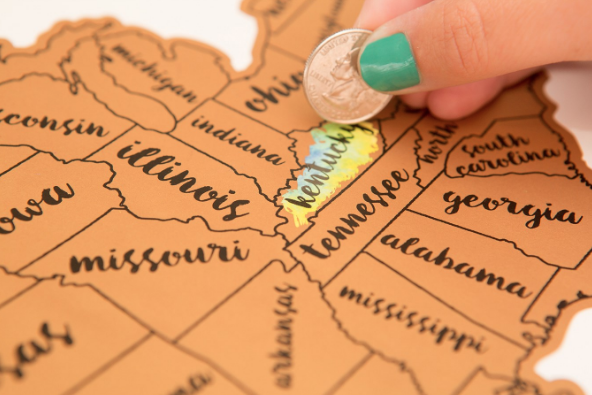 Go here to see the Scratch Off Travel Maps and remember, this deal ends tomorrow!